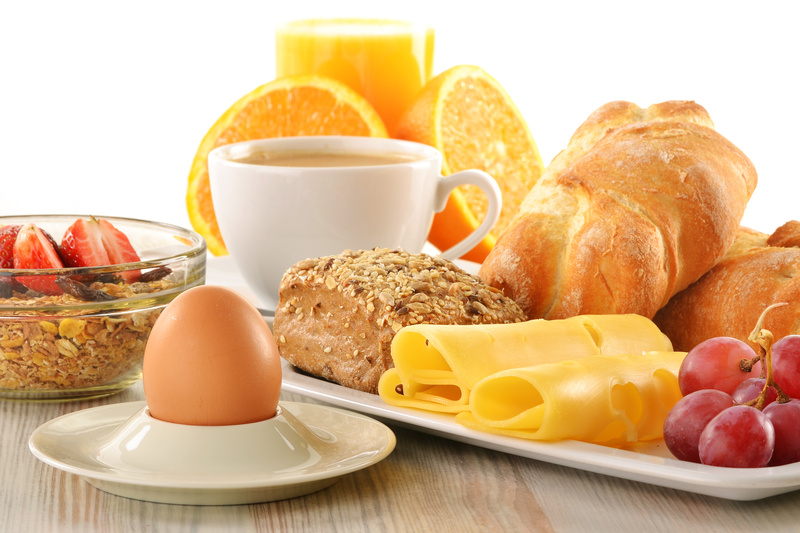 Breakfast is the most important meal of the day and this is the most important meal that millions of 9 to 5 office goers often choose to give a miss all thanks to severe shortage of time to fix it in the busy weekday mornings. If you are in this no-time-so-no-breakfast brigade, you are sure to have felt laziness, fatigue and general low morale even before hitting mid day. This is a likely consequence simply because you have denied your body the basic fuel that it needs to start the day with a boost of energy. If this continues for months together, the time will not be far when you will have to rush to health care centers with an assortment of gastrointestinal stress issues and associated side effects. Instant Energy Breakfast Smoothie – A glass of milk, 2 bananas, a handful of roasted nuts, with a teeny teaspoon of sugar. These ingredients are to be dumped into the blender and blended into a smooth smoothie. Pour it in a glass and top it with berries and fruits of your choice. You can substitute bananas with mangoes if you please for a whole new refreshing flavor. Preparing time for this entire power packed, healthy and filling breakfast would be no more than 5 minutes! Oats and Cereals – It only takes 2 minutes to make a bowl of oats for breakfast. Half a cup of oats with a glass of milk and to add taste, you can throw in chunks of fruits, roasted nuts and raisins. From the stove to the table, including preparation time, you will take no more than 10 minutes. If you choose to go with packed cereals with cold milk, the time taken would never exceed 2 minutes. Toast with Peanut Butter – Two toasts would take anywhere from 30 seconds 45 seconds to make. To spread peanut butter on it will take about another 30 seconds. This is counted among the faster than the fastest breakfast options for busy mornings. Eggs and fruits – You can store boiled eggs in the refrigerator for a few good days. So, if you boil a dozen eggs and stock up, your breakfast can be just as quick as a lightning flash. Pick up 2 boiled eggs from your fridge and some fruits of your choice including a fresh dose of berries for a good start of your day. Fruits and Yogurt – Scoop out 2 dollops of yogurt in a bowl and throw in an equal quantity of fresh fruits in it. You can add nuts, dates and raisins in it to make it richer, fuller and of course healthier for a vibrant kick start. A primary ingredient to ensuring success in these quick meals is your desire and your will to start and continue with it. If you are among the ones who have been missing breakfast purposely because you think it will make you lose weight, there is much more you need to work on than these tips.